I loveovelove The Balm. Especially their eyeshadows. 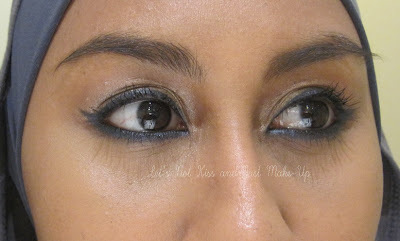 If you love eyeshadows, you have to check out The Balm, really. But i'm not going to take responsibilities over any newfound addiction. OK. As fab as their shadows are, how do their mascaras fare? I can't say i know the answer to that, as i only own one of their few mascaras. But let's just concentrate on how this one fares out, shall we? Let's just point out the box the mascara comes in and the tube itself are adorable. Come on. They are. They really are! People always associate the word "kitschy" with The Balm. The very first time i heard this word, i looked it up, and afterwards i would always wonder what people mean by "kitsch", because i'm not sure it's the right word to describe The Balm. Which is why i disagree. "Popular taste" i can get on board with, but "lowbrow taste"? And "poor quality"? I'm guessing they meant the second definition, which is "tacky". But here they're associating 'tacky' with 'lowbrow quality or condition', which is really not what The Balm offers. So in conclusion, by me, Professor Liyana Aris, when the mass say "kitsch" or "kitschy", they mean "tacky but popular". Which i can accept if it's being used to describe The Balm. Because if you categorise The Balm and its products as 'tacky', then yes i do like things that are tacky. The black tube i find quite elegant for a mascara. And i think you get by now how i adore the old-school drawings on it. Experts have concluded that the size of the wand is in proportion of how it would affect your lashes. If you're asking me for evidence of such articles, i'm sorry that i can't produce you any. But i honestly have read these things before. I don't necessarily buy this theory, but it's a nice theory to keep in mind. 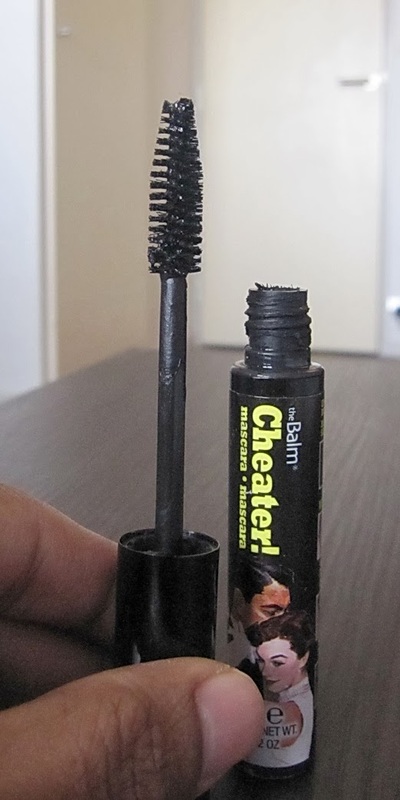 In in the case of Cheater!, the wand is generous in size, and it does indeed let you "cheat" your way into having more dramatic lashes. It's not too big that it doesn't allow you to reach all of your lashes either. Both lashes encased in Cheater! I love this mascara. I do get the desired effect after applying this mascara. Vince Volume, Donnie Dark-coat, Thomas Thick, and Lance Long-lash lived up to their last names. My lashes look darker and the volume is amped. 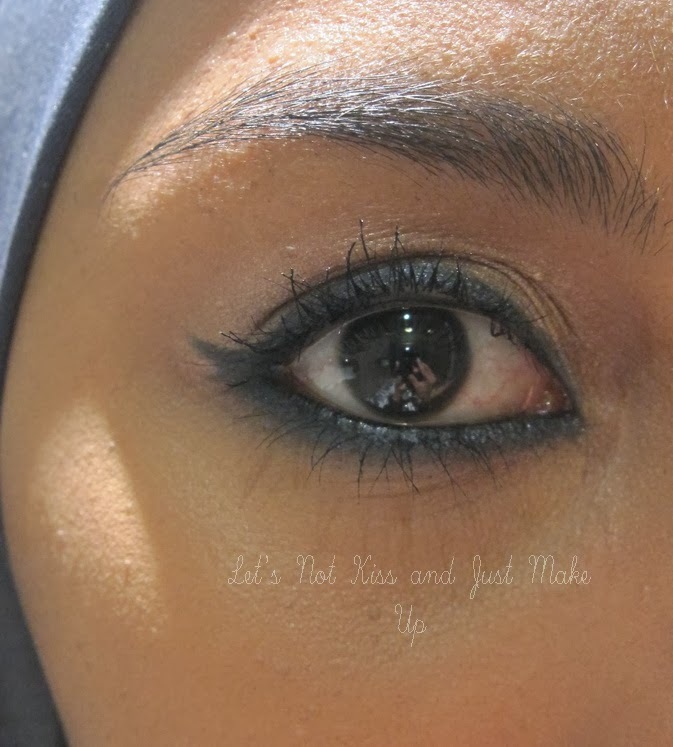 In terms of curling, i've had other mascaras which did a better job, but the my lashes do appear longer and still curl quite an amount with Cheater!. The colour is very black as well. Unnnfortunately, yes, unfortunately, this mascara isn't for me. As fantastic as i find this mascara, with it delivering on all its promises, this mascara isn't waterproof. Whyyy oh why? On top of my combination/oily skin, this mascara doesn't stand much chance. 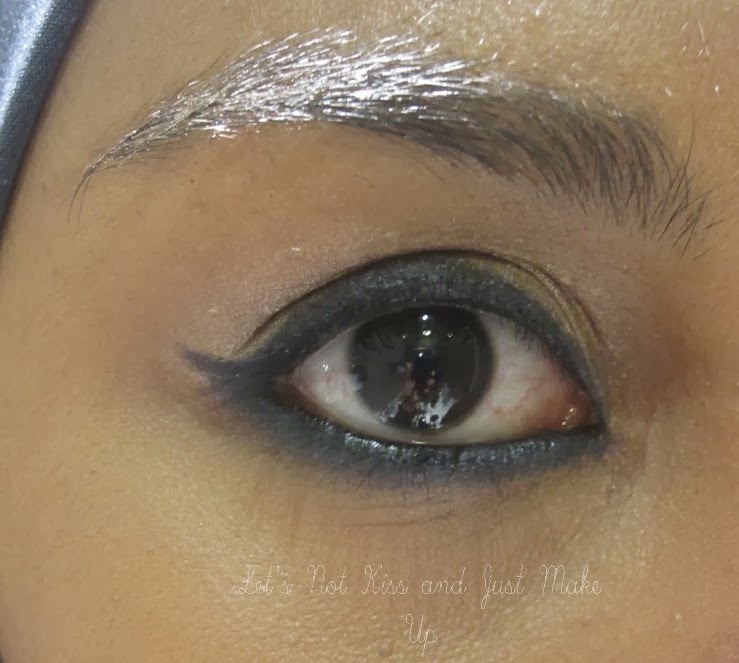 Within hours, black smudges would appear underneath my eyes. I mean, maynnn. If only they tweaked the formula a bit! 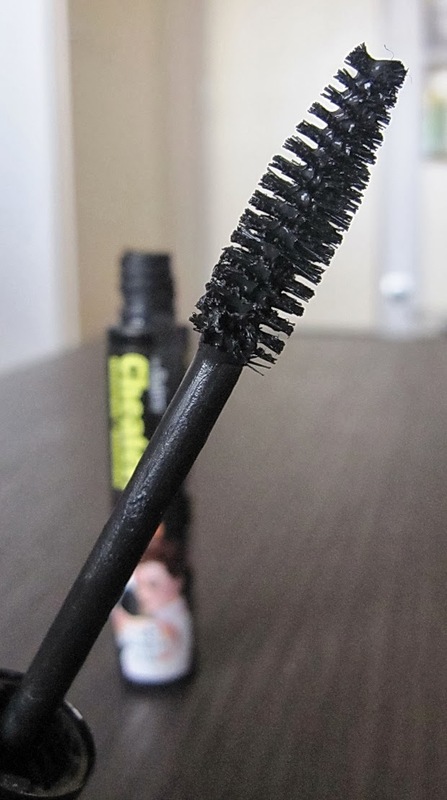 This would be my go-to mascara probably. With me, even waterproof mascaras could fail after several hours, so what chance does this little darling have against my unwanted oiliness and greasiness? But in all honesty, even if The Balm make this waterproof, i think there are other mascaras out there that i prefer. Compared to my favourite Maybelline ones, this mascara, even if waterproof, won't easily win, especially considering its price of 18 USD. 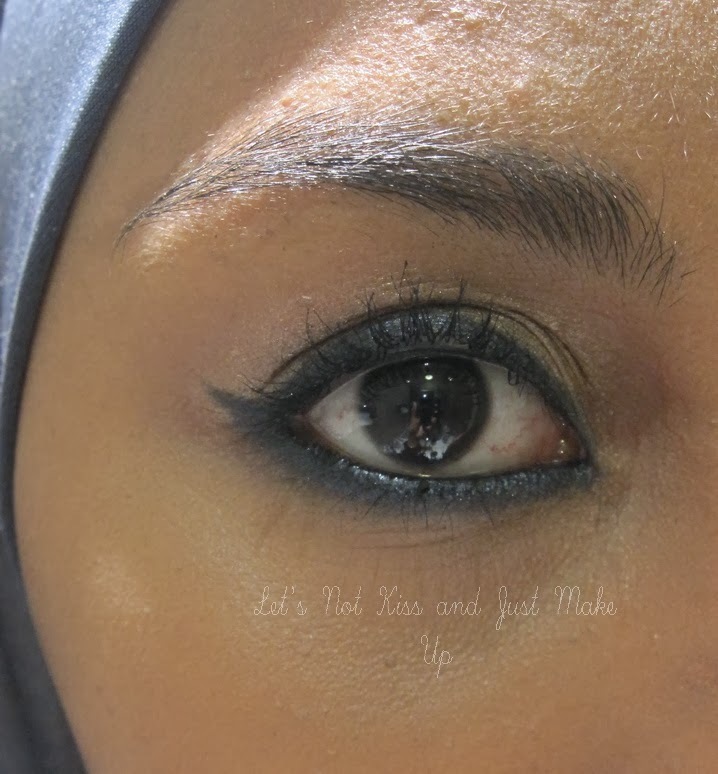 However, it is still a great mascara in all. 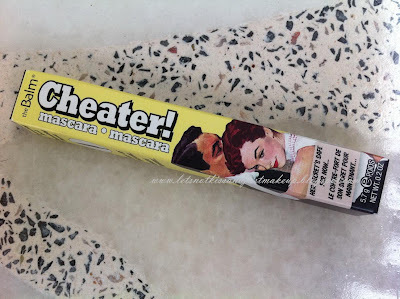 To those lucky ones who find they can have all the fun with non-waterproof mascaras, i would recommend you try out Cheater!. You might just fall in love with it. 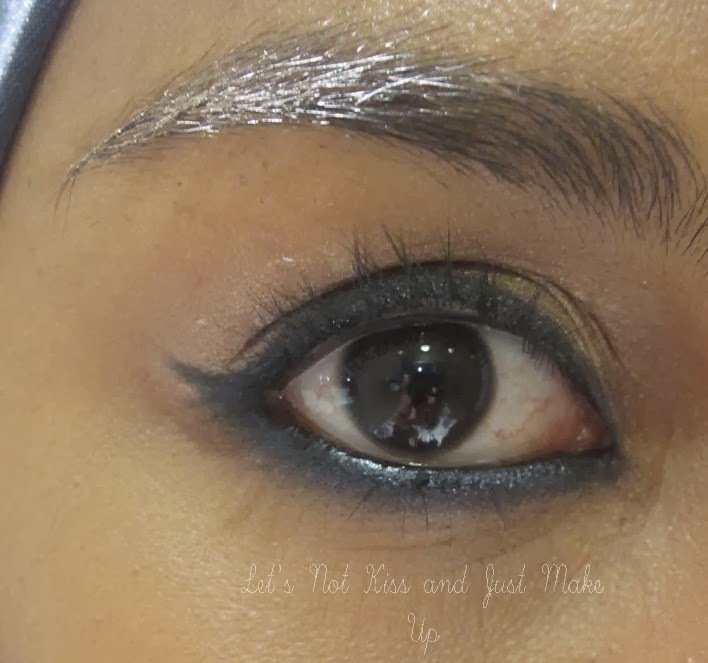 A tiny tip: Another thing that i ALWAYS do before applying ANY mascara, including this one, is wiping the tip of the wand on a tissue before applying, just to get rid of the slightly hardened goo that tends to form at the tip. Hope you find this review helpful!